ARTIFACT: Vintage early 1960�s Calvert Reserve whiskey decanter. 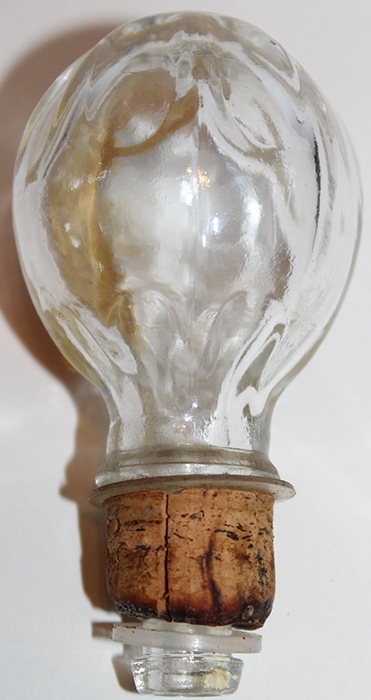 This lovely glass decanter has the original paper labels intact. The brand label around the neck is gold foil with a round cream colored center that reads: �CALVERT� in red lettering and below: �RESERVE� in black. 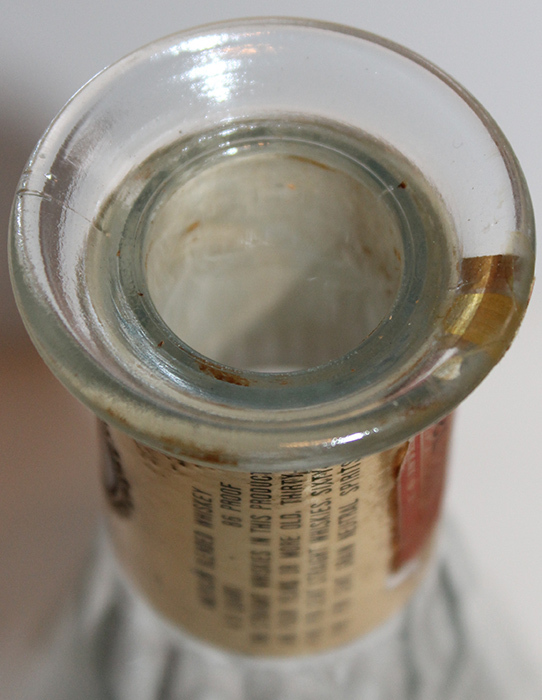 The center of the bottle displays a �PENNSYLVANIA LIQUOR CONTROL BOARD� stamp on the paper numbered label that reads: �26088624�. The original federal tax stamp is nearly fully intact and reads: �U. S. INTERNAL REVENUE DISTILLED SPIRITS TAX PAID 72936519�. The reverse of the gold foil neck label reads: � �AMERICAN BLENDED WHISKEY 4/5 QUART 85 PROOF. The straight whiskies in this product are four years or more old. Thirty-five per cent straight whiskies sixty-five per cent grain neutral spirits twenty-five per cent straight whiskies four years old. Six per cent straight whiskies five years old. Four per cent straight whiskies six years old. BOTTLED BY CALVERT DISTILLING CO. BALTIMORE, MD LOUISVILLE, KY�. 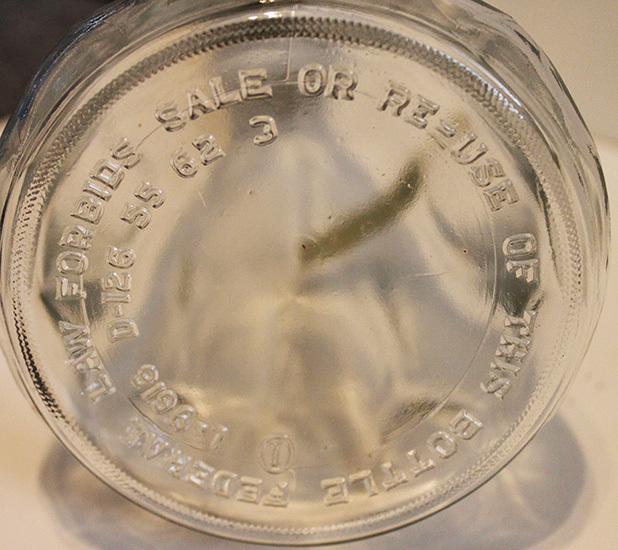 This base of the bottle reads: �FEDERAL LAW FORBIDS SALE OR RE-USE OF THIS BOTTLE L-9616 D-126 55 62 3� in embossed lettering. 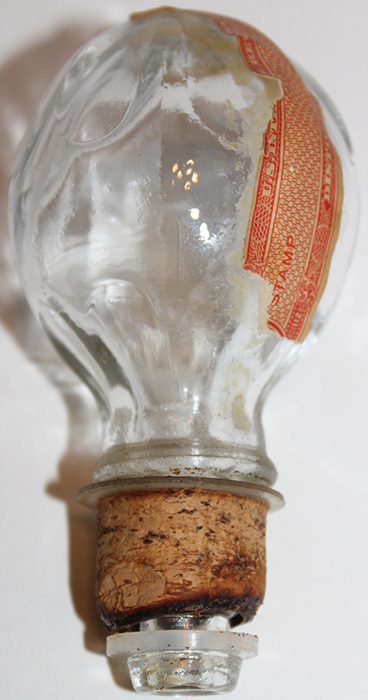 CONDITION: 8+ (Excellent): The decanter shows minor wear/use, the cork stopper shows moderate age wear, nearly all the paper labels remain fully intact, overall excellent condition.